As part of my current weekly teaching role I have to find ideas and inspiration for session plans, which often come from friends and colleagues. 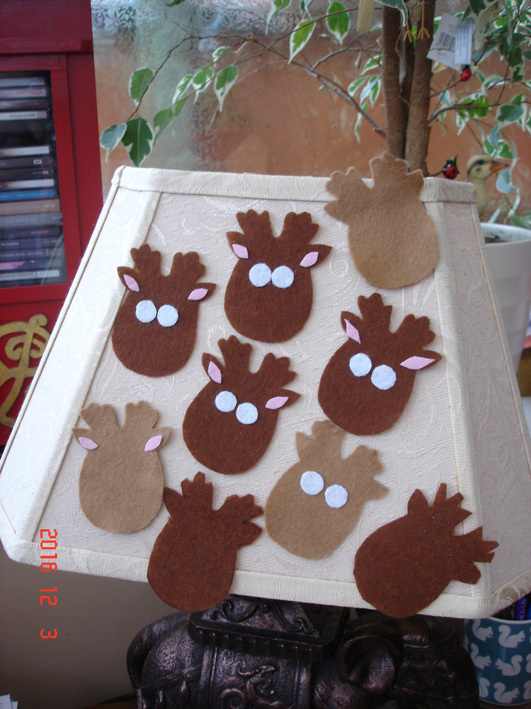 One of my former colleagues suggested doing ‘reindeer noses in a jar’ and this set my creative mind aflame. 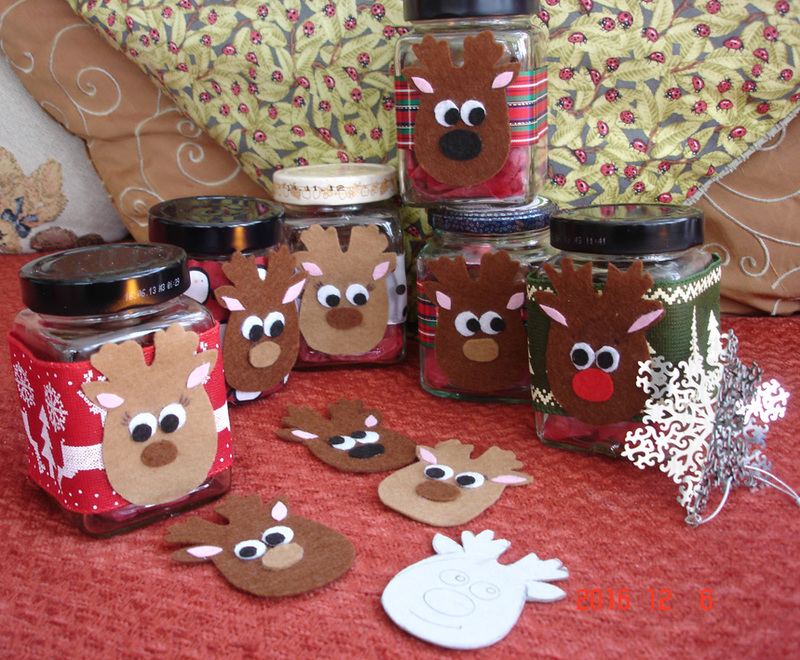 The ‘reindeer noses in a jar’ I had seen in the past were just made up of a strip of brown felt around the outside of an empty jam jar, onto which were stuck goggle-eyes and a red furry nose. 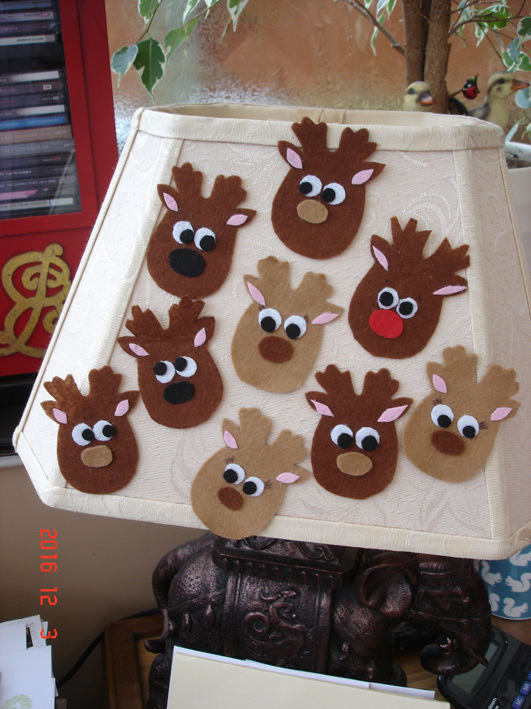 The reindeer heads take shape and are temporarily stored on a lampshade. 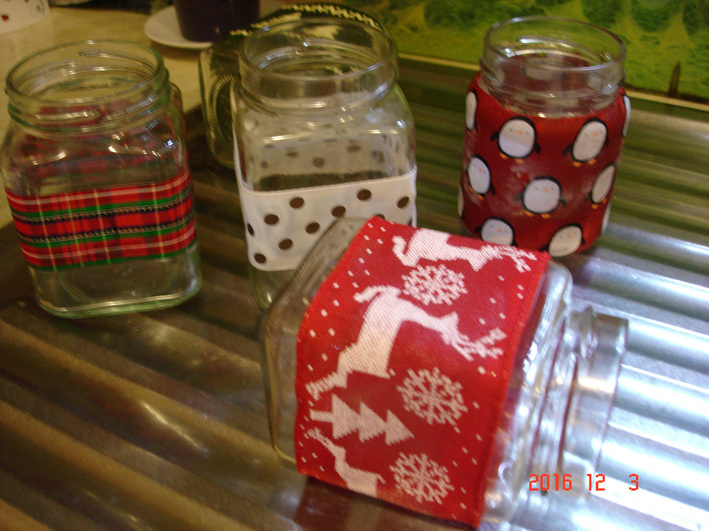 The jars are washed and decorated in various festive ribbons. After cutting some heads out of felt (and attaching them to a lampshade so I didn’t lose them), I got busy cleaning jars and choosing ribbon (tartan was a nice choice, and another that looked like chocolate balls) to attach to the outside of the jars. Finally, the jars are finished and filled with confectionery, with one chocolate ball covered in red foil, to represent Rudolph the Red-nosed Reindeer.